It is almost as if a negative public relations firm was hired to present a picture of: “we are not serious about education here”. This is an example of education not even staying in modern pace and place, but rather marching backwards. First, there was the story about the school that was collecting food cans to store in middle school classrooms so that students can throw the cans at a potential intruder (who is assumed to also be armed with only a can, and not a gun). I had to run the risk of sounding naive (or hopefully optimistic?) when I suggested to some of my former students that when I first heard this story on local news (delivered in a straight non Jon Stewart format); I actually thought that this was an extremely creative and cleaver way to promote a school’s food drive collection campaign. I did not believe for one moment that a group of educators from anywhere, would come up with such a crazy and dangerous idea. Putting aside the fact that encouraging middle school students (who need very little encouragement in this area) to throw anything was extremely risky; and more importantly there are so many studies and articles by very smart educators, many of whom experienced a type of intruder(s) incident, and also by school safety and security experts; and so why the need to “invent” silly stuff. And why institute such an ill-informed (lacking research data), ineffective and potentially dangerous practice? Then there was the Superintendent of DeKalb County; who in honor of Dr. King’s birthday thought it would be a nice tribute to reenact “Governor’s Wallace standing in the door of Black student educational opportunity” routine; by not allowing high school students to see the film “Selma”. His rational (and I am being generous here by offering a word: “rational”.) The movie contained “F-words and racial slurs”. First of all, I would like anybody who has spent 3 days working in a high school, and who believes that the students are not aware of the “F-word”; please raise your hand; but also please raise that hand in the privacy of your home; because by raising your hand you are admitting that you received government funds for sleeping and not working for three days; do the right thing and return the money! Secondly the real racial slur here is from the mouth of the superintendent. This weak and flimsy excuse does not come close to hiding his true thoughts and intentions: He is on the philosophical other (wrong) side of the civil rights movement; and the greatest tragedy is that he holds the future of Black students in his racially tainted and discriminate hands. Has he thought about the fact that Black Alabamians might say: “Hey, if he does not want us to see the film, maybe we should……” And White Alabamians should know better than anyone else in this country; that you can’t hold back the literal “march”, or the march of history! The final story; and again I held out optimistically (foolishly?) for this not to become true. The college faculty at the University of Alabama at Birmingham (UAB), actually voted no confidence in the university’s president because after some very sound and sensible financial analysis, he decided to shut down the varsity football program. This “no confidence” action was not a vote for something trivial like: greater student racial and economic diversity on campus; academic freedom; faculty professional development and research resources; the upgrading of student social/living facilities, athletic/exercise programs that could include a larger percentage of the student body, expansion of libraries, research and study centers, state of the art science labs, reducing tuition-expanding scholarship offerings; more college engagement with the young citizens and the poor of Birmingham… You know the stuff that should really matter at a first class institution. For a moment I thought that the faculty would actually provide leadership here; but vote “no confidence” they did; without the slightest hint as to what effect that act would have on the image of the university for those (i.e. future students, foundations) outside of her campus. These three examples of a terrible unreality show titled: “Bad educators of Alabama”. All have a similar theme running through them. There is a need for a common core of decency, thoughtfulness and vision; that is badly missing here. President Obama; first of all should be congratulated and commended for his very bold proposal to make community college attendance free to all who wish to work hard for it. No nation could be hurt by expanding educational opportunities. This proposal also give a tremendous economic and emotional lift to those in our country who wanted to improve their job skills; but were unable to cover basic living expenses, and pay for college tuition. The private sector will surely gain from the increase level of skills and competencies from their new educationally enhanced employees. And predictably the opposition on the Right to his proposal is divided between those who automatically oppose any idea, no matter how worthy, if it comes from Mr. Obama; while the other half is made up of those who only want to assist and subsidize the rich, and reject any proposal that would improve the life chances of everyday Americans. This is going to take a great deal of thoughtful effort to make it work; but it can work; and work well for the country. One (of several) of my concerns is that this very positive act may have a very adverse financial effect on many of our HBCU’s. This action may possibly lower the number of students in freshman and sophomore classes at 4 year institutions. The larger more “endowed” universities could perhaps adjust to this lowered number, and absorb the financial lost (and wait for those students to arrive for their junior and senior years of study). This may be a challenge; not just for HBCU’s, but for any small to medium 4 year institution. There is presently a terrible “resource gap” in our university system; will this widen that gap? From Tiffany Harrison Bryant: Excellent point on the effect to HBCUs. I also wonder if many will continue on to attain the bachelors degree or higher. Some may become complacent and stop at the associates level especially because of the resource divide. Other institutions may raise cost to compensate for lower attendance. The reverse could occur and higher intuitions could adapt and create similar programming for associate degree candidates. Either way creating access to higher education for the masses in a fashion that doesn’t burden the student with debt is favorable. From Dr. Anthony Junior: I understand the concern for HBCUs, however, the larger concern should be for families of color. The unfortunate reality is that many students can’t afford tuition at HBCUs, or any other institutions, in the first instance. The net effect is that these prospective students are denied access to higher education. The argument for the impact on HBCUs may be “putting the cart before the proverbial horse”. From Dr. Kofi Lomotey: The President’s plan to universally fund community colleges is a good one for the country in the long run. It would create a stronger workforce for an increasingly global environment. HBCUs and other colleges and universities would have to adapt–by refocusing their resources to years 3 and 4 of the undergraduate experience AND graduate and professional degree programs. From Chryssey A. Schloss-Allen: I do agree but the President is also working with the change in the times- many students are opting for community colleges rather than coming directly to a 4 year college. this trend has been noticed in CUNY over the years and there have been more incoming Transfer Students than ever before. It is particularly helpful for students who still are uncertain of what they want to do and for students grossly under-prepared/under-funded for college life. It also opens up any scholarship opportunities that they may not have been privy to because of lower HS grades. Thanks Lisa Harrison; I am not a big fan of the present USDOE policies; however I think his question is a good and reasonable one. It appears that so far most people avoided his question in order to score political points; many were just offering the tired old union lines that really have nothing to do with children being academically successful. The answer to his question is probably very clear to you and Tiffany as the two of you are both positive products and teachers of the answer. The solution is to provide all children in the “under-performing” schools; with the high nurturing, high expectations, high efficacy, a large amount of “real learning time”; a large number of instructors who have a high level of content and instructional knowledge; resource and equipment rich learning environments; low teacher turnover rate, a rich & challenging curriculum; an exciting, rigorous and diverse (including the arts) academic course offerings, the absence of a high critical mass of inexperienced teachers; all of the things that are not suffered by those “high-performing” schools. And then to go further; the schools must purposely and strategically close the: “parent information-education gap” (because the truth is that we don’t get to create the parents we want) by providing the schools with an adequate level of social-counseling services; and offering those students a rich informal out of school learning experiences (don’t sit around and wait for the parents to take them to a play—take them to a play!). 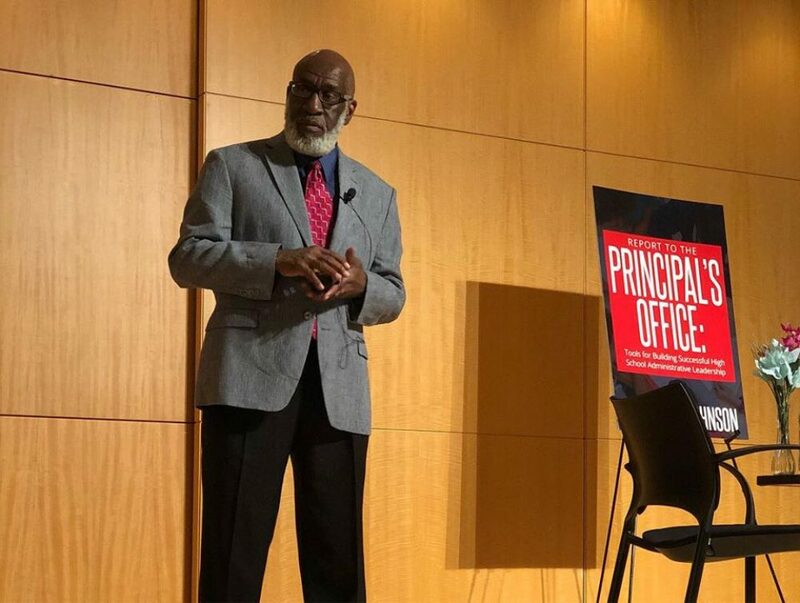 The problem is that neither Mr. Duncan nor his detractors are willing to make the high level of commitment that is needed on behalf of these communities that are saturated with “under-performing schools”; communities that are unable (or unwilling) to reward, or punish them politically, for not educating their children.